How many of you like I have left the Headlights on, after you got out of your car and go back 7 to 10 hours later and have a Frigging Dead Battery. You have to call someone, beg some one to jump your battery, if you have the cables or worse call and wait for AAA. 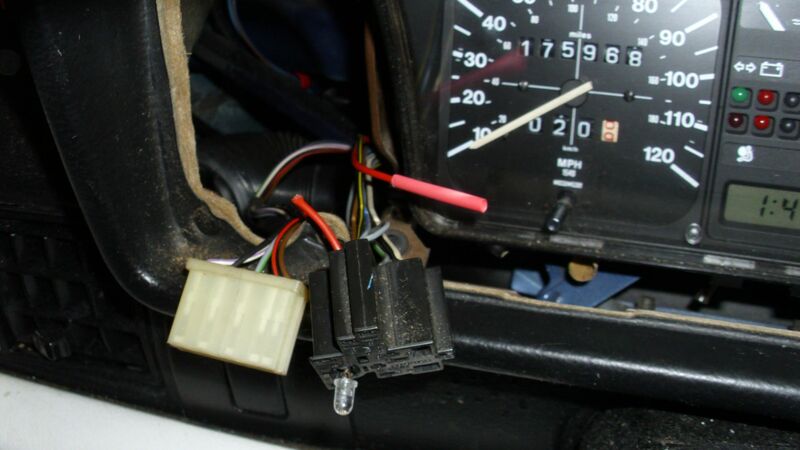 Locate the Red and Gray wire on the headlight switch and cut them unless you are good at soldering give yourself plenty of wire after the switch connector. Remove the negative battery lead. 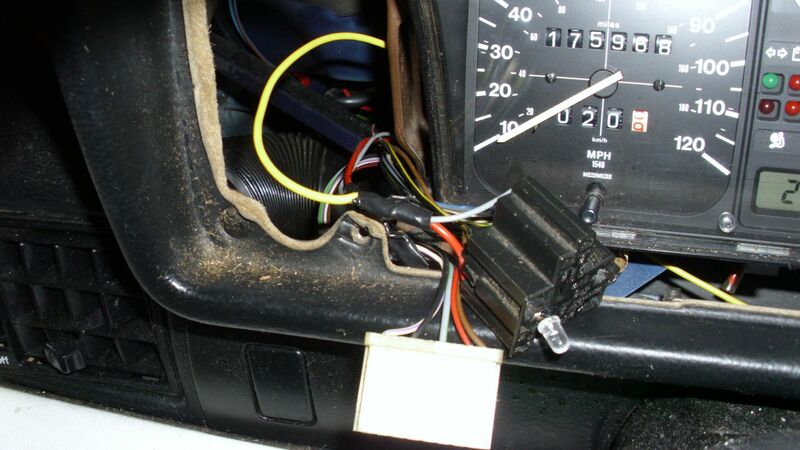 Take the Bare red and gray wires that run to the Fuse box and heat shrink and TAPE them they are live wires. Take the Gray and Red wires off the switch and strip them. Add about 3 foot of 16 Ga wire, and SOLDER them all together. 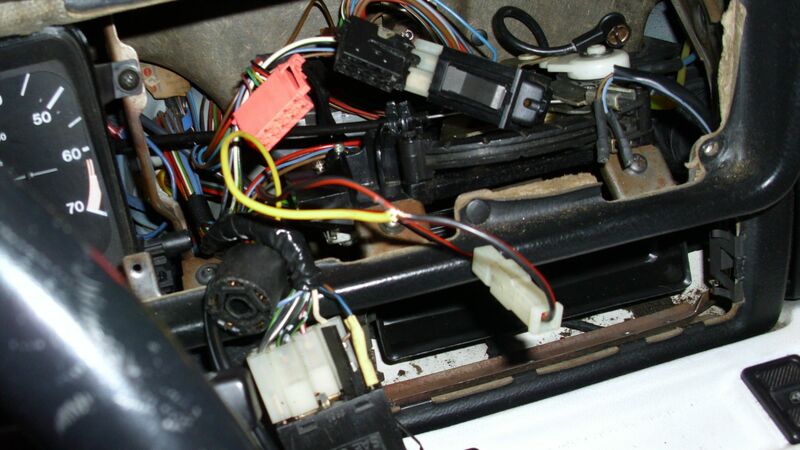 Locate your battery in lead on your Heater Blower switch RED/Black strip the insulation back. 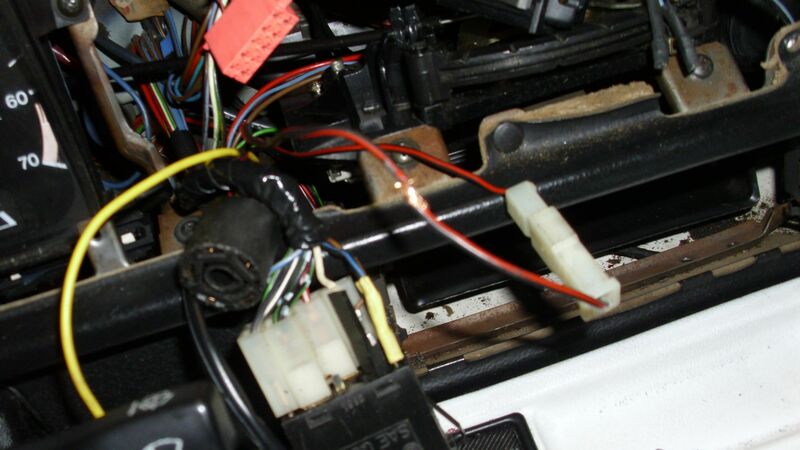 Wind the 3 foot of wire from the head light switch under the cluster mount brackets, Strip the end and union splice the wire onto the heater wire. 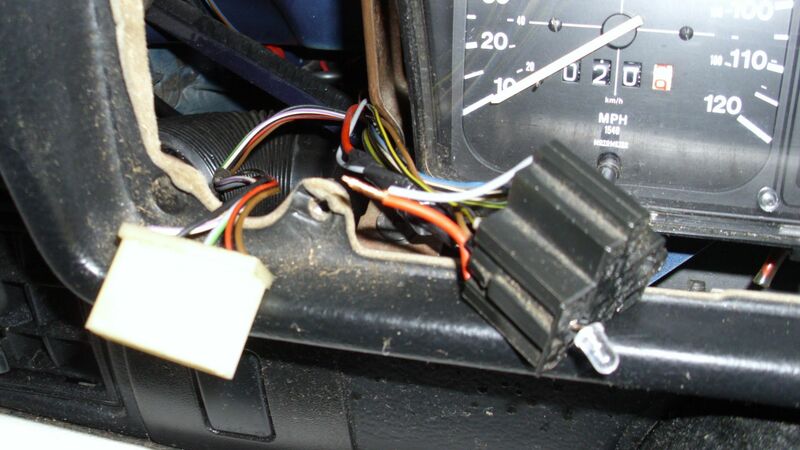 Tape the connection, and replace the Dash. Now you have Headlights, and Marker Lights that Extinguish with the Key is out of the ignition. 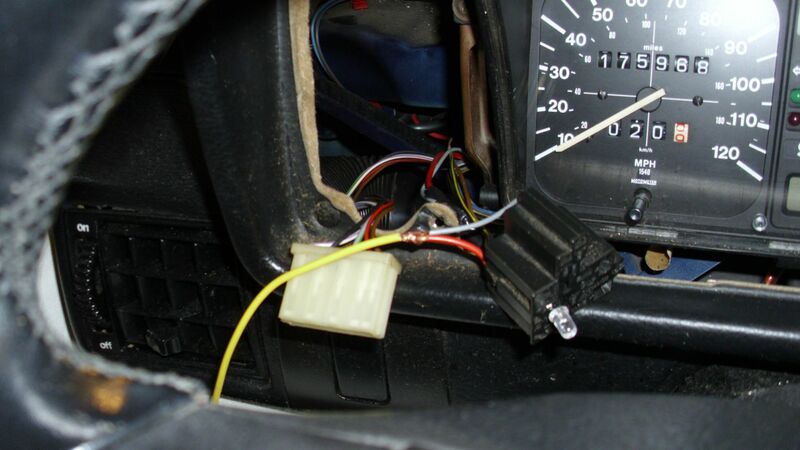 Be Warned that I have relayed my headlights, so there is minimal current going through the head light switch. The Fuse for the blower is 20amp, so those that are running older unfused cluster lights, now have a fuse. Since you moved it from a 10amp to a 20amp circuit, you now can burn more wires in a 90ish, than you are used to.